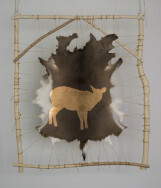 Tammy Renée Brackett’s recent work combines the digital and natural world to explore humans’ relationship with animals. 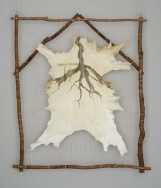 This relationship has become increasingly complex as people become more and more concerned with the source of their food. 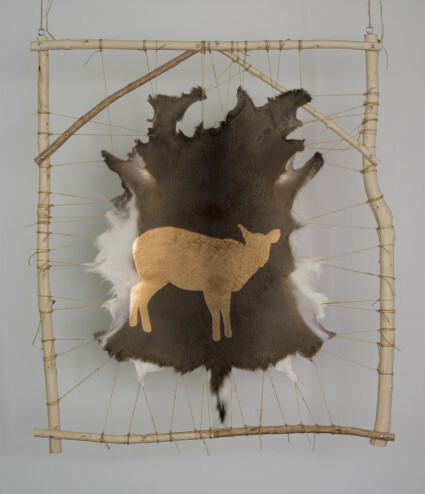 The exhibition focuses on the White Tailed Deer, posing questions about population control, loss of habitat, and mortality. 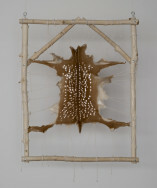 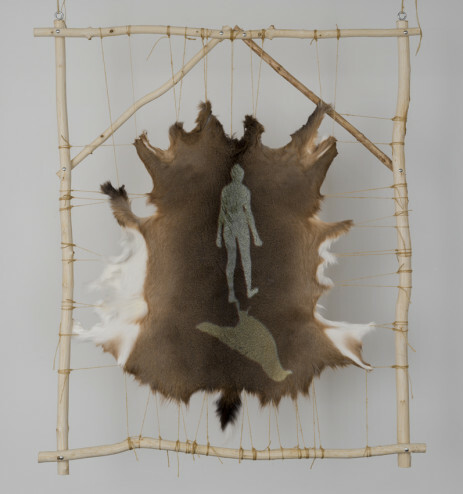 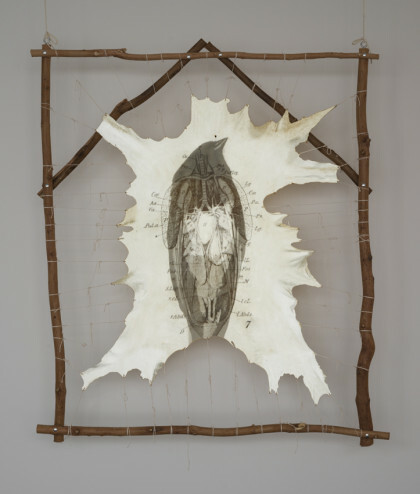 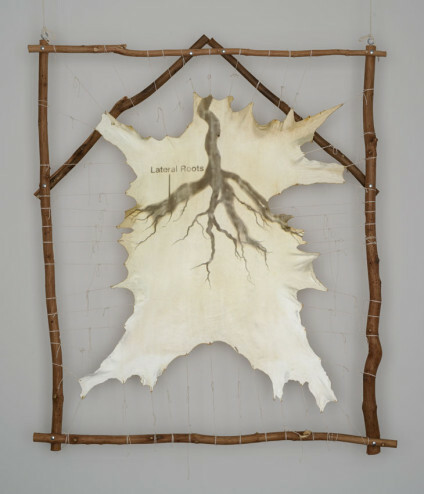 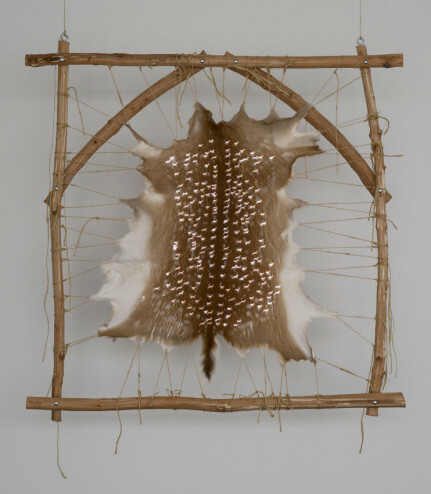 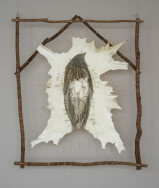 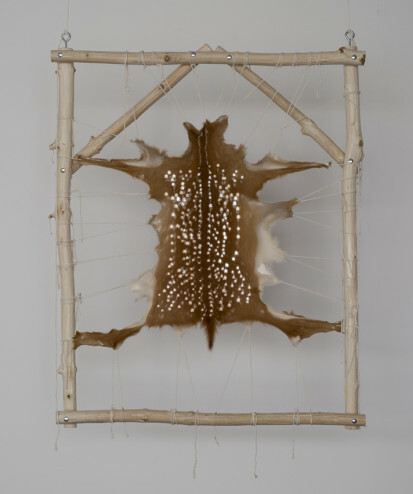 Brackett uses deer hides as projection screens, or as surfaces to draw on. 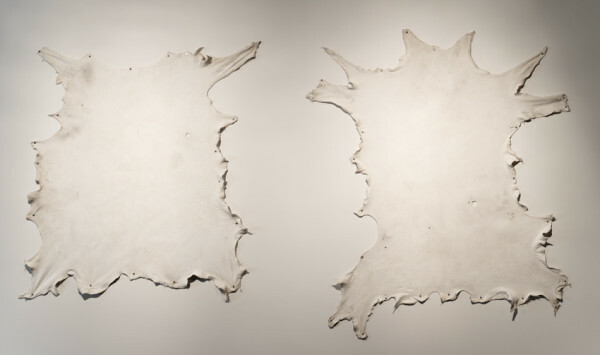 Two other hides illustrate the difference between a good shot and a bad shot. 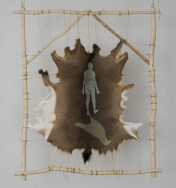 The good shot displays two holes high on the skin indicating a quick clean kill. 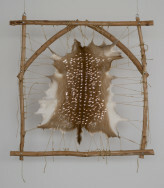 The other skin, with multiple holes spread lower on the hide, describes a “gut” shot that missed the animal’s vital organs.